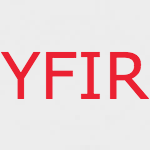 By itself, the preposition yfir means over, above, across. It can take both the accusative or the dative case, which is typical in Icelandic, with accusative being used for motion and dative for location. Ég hengdi myndina yfir borðið. Ég hengdi upp myndina fyrir ofan borðið. Myndin er fyrir ofan borðið. Kvað er klukkan? – What time is it? Korter yfir sjö. – Quarter past 7. You can usually take a word apart to understand where its meaning came from, like yfir·troðsla – violation, infraction. The stem word likely comes from troða – to trample, step on. So with yfir- it becomes like overstep, troðsla being the noun form. There are a lot more of course 🙂 Many seem a bit abstract, but make more sense when you pick them apart (try tracking down yfir·klór). Do a wildcard search at the wisc.edu dictionary site and check out all the ones they have.